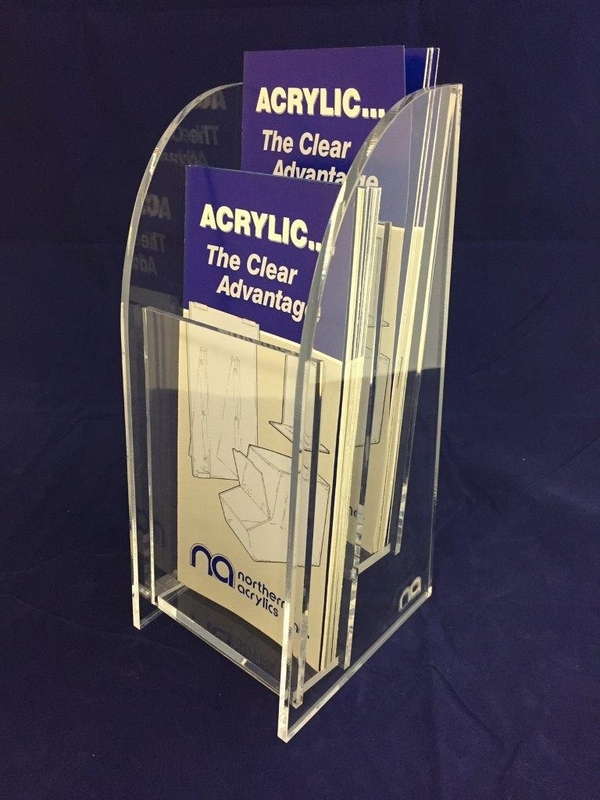 Literature Displays — Northern Acrylics, Inc.
Dimensions: 8.50" W x 11.00" H x 4.00" D Dim. I.D. Widely used by public relations in many various departments including waiting areas, nurses stations, and registration areas. Constructed from 1/8" clear acrylic, machine-bullnosed edges, w/clear non-skid on base. Many custom sizes available. Designed to accommodate 8.50" x 11.00" literature, 2.00" I.D. depth. Constructed from 3/16" and 1/4" clear acrylic. Machined, polished edges. A nice contemporary, clean look. Dimensions: 5.75" W x 15.00" H x 5.75" D Dim. O.D. This 5 card unit is compact, yet very stable with a 5.75" square base. Constructed from 1/4" bronze and 1/2" clear acrylic. Card pocket size accommodates 3.25" x 5.00" cards. Custom sizes available. Dimensions: 11.75" W x 9.00" H x 4.00" D Dim. O.D. Organize all your appointment cards with our towers. We build them with the department's needs in mind. constructed from 1/4" bronze and 1/2" clear acrylic. clear non-skid feet on the base keeps them in place. Custom sizes available. Dimensions: 9.00" W x 6.00" D x 11.50" H, O.D. Constructed from 1/4" clear, with a 1/2" clear acrylic base. Dimensions: 4.625" W x 5.00" D x 10.75" H O.D. Constructed from 1/4" clear acrylic. Popular in hallways, elevators, nurses stations, anywhere postings are required. Polished edges, with adhesive tape on back surface. A wide variety of sizes available. Dimensions: 15.75" H x 13.00" W x 4.50" D Dim. O.D. 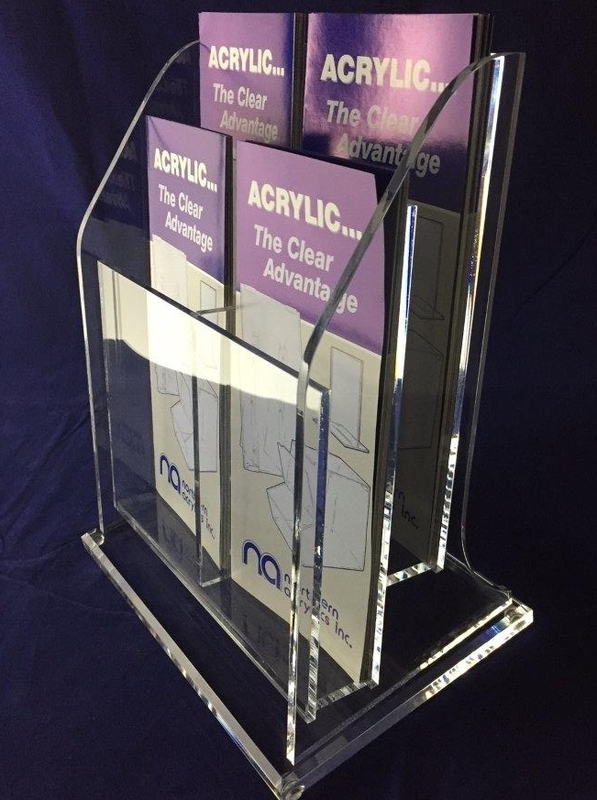 Wall mounted Chart holder with tapered pocket ( 12.50" W x 7.75" T x 4.00" D ) All 1/4" clear acrylic. Machine radius and polished edges. Custom sizes available.